Creative Day for all 4-12 Year olds! 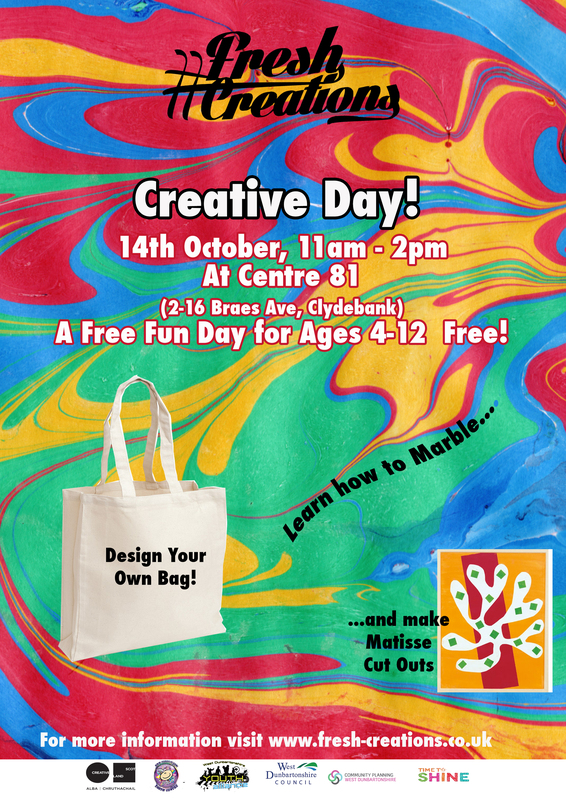 Join us for an exciting day designing Tote Bags, making Matisse Cut Outs & marbling! For more information you can email us at info@fresh-creations.co.uk or by calling 0141 941 3308.